Though traditionally Sony was not a name I associated with DSLR cameras, the company has been pushing out some quality products of late. 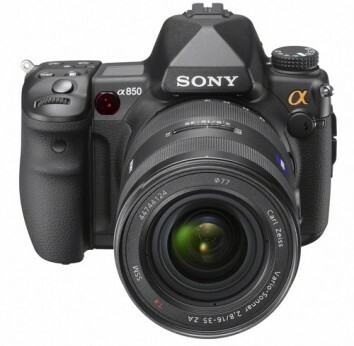 The latest α (Alpha) trio of DSLRs is no exception, with the top-end α850 and α550 / α500 just announced. OK, first up we know that camera quality goes far beyond its megapixel count, but having said that, when you’re faced with a camera boasting 24.6 MP, you have to sit up and take notice. The α850 features an Exmor CMOS sensor and dual BIONZ processors which together promise high sensitivity (up to ISO 6400) quality images.